As two clever boys exploit a clerical oversight, each one discovers new perspectives on selfhood, friendship, and honesty. Identical twins Ray and Jay Grayson are moving to a new town. Again. But at least they’ll have each other’s company at their new school. Except, on the first day of sixth grade, Ray stays home sick, and Jay quickly discovers a major mistake: No one knows about his brother. Ray’s not on the attendance lists and doesn’t have a locker, or even a student folder. Jay decides that this lost information could be very…useful. And fun. Maybe even a little dangerous. The Grayson twins are moving to a new town. Again. Although it’s a drag to constantly be mistaken for each other, in truth, during those first days at a new school, there’s nothing better than having a twin brother there with you. But on day one of sixth grade, Ray stays home sick, and Jay is on his own. No big deal. It’s a pretty nice school—good kids, too. But Jay quickly discovers a major mistake: No one seems to know a thing about his brother. Ray’s not on the attendance lists, doesn’t have a locker, and doesn’t even have a student folder. Jay almost tells the school–almost–but then decides that this lost information could be very useful. And fun. As Ray and Jay exploit a clerical oversight, they each find new views on friendship, honesty, what it means to be a twin–and what it means to be yourself. Entertaining, thought-provoking, and true-to-life, this clever novel is classic Andrew Clements times two: twins! • After reading Lost and Found, talk about the pros and cons of being a twin. How would you feel if you had a twin? Do you think you would like it, or not? • Jay and Ray are identical twins, but they are also individual people. Discuss their relationship with one another. How are they unlike despite the fact that they look the same? Do you think Jay and Ray would have a different relationship if they were not identical twins? • What is the real reason the twins pass themselves off as one person? If you were in this situation, would you have agreed to do this? Do you think the twins realize what will happen when they eventually get caught in their game? • Talk about the twin’s parents, Sue and Jim Grayson. Do you think they relate well to Jay and Ray? Do you think they really understand their sons? 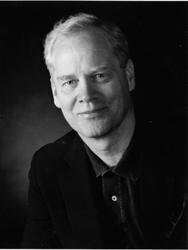 • Author Andrew Clements uses suspense throughout Lost and Found. Define “suspense” and identify some parts of the story that are especially suspenseful. Why do you think Clements writes this way? • When you were reading Lost and Found, could you predict what was going to happen next in the plot? Why or why not? Were you always right in your plot predictions? • Many characters in the novel make mistakes in this book. Who makes mistakes, and what are they? Is making mistakes normal? How do the characters move beyond their mistakes? • Jay and Ray start to notice girls in Lost and Found, and their relationship with girls is a big part of the novel. Did you find this realistic? • The concept of honesty is explored in this story. How are the characters honest and not honest with one another in the story? • What is the significance of the title Lost and Found? Why do you think the author chose this title for the book? • How did you feel about the ending of this story? Did you feel that Mr. Grayson was right in wanting to discipline Jay and Ray at home? Do you feel that Mrs. Lonsdale, the principal of the school, should have been able to discipline the boys as well? What do you think Jay and Ray’s punishment should be? • Going forward, how do you think Jay and Ray will deal with being twins? Do you think they will ever pull a prank like this one again? Why or why not? • Do you think this situation could happen at your school? • Ask your students to find out more about famous or notable twins from today and the past. Think about twins who are actors on television, twins who were prominent in history, or twins that are characters in books. After their research is complete, compare and discuss their findings with the rest of the class. • Many schools have sets of twins who are students. If your school has a set, have your students interview them. Some questions your students can ask: What is the best thing about being a twin? What do you not like about being a twin? How is being a twin special? Then, have your students compare their answers. • Why did author Andrew Clements decide to write a book about identical twins? 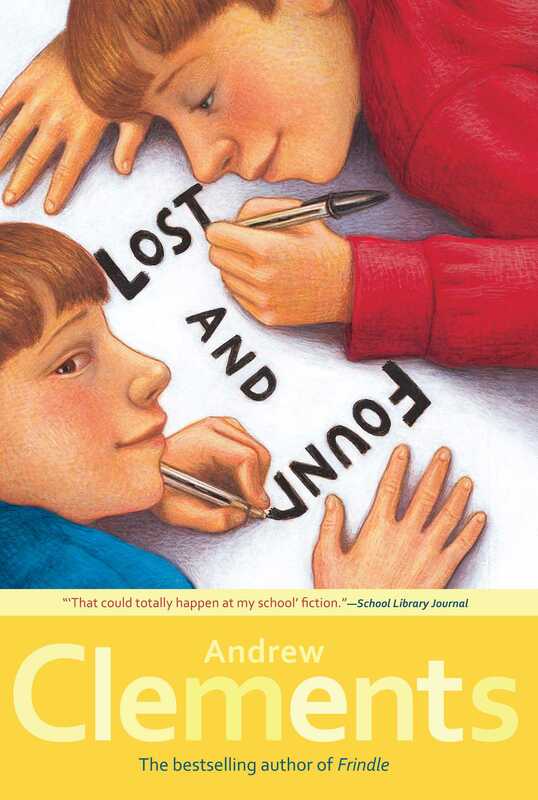 Find out more about Andrew Clements and his special connection to twins. Share this information with the class. • Have your students write their own book reviews of Lost and Found. In each review, students should write about what they liked—and didn’t like—about the book. Would they recommend Lost and Found to other readers? • As a class, write an alternate ending to Lost and Found. What if Jay and Ray’s prank was never discovered? What if Jay and Ray’s parents let their school discipline them? This reading group guide has been provided by Simon & Schuster for classroom, library and reading group use. It may be reproduced in its entirety or excerpted for these purposes.